Michael Black is an American employee working in China for one of the country’s oldest and most traditional consumer products manufacturers. Michael has been in China for two years and has done quite well. He’s mastered the local language, been very successful in meeting his performance goals, and believes that he deserves a promotion. Michael is a bit uneasy “tooting his own horn,” but he also realizes that if he doesn’t do it, no one else will. When meeting with his boss to argue his case, Michael explains how he has met or exceeded all of his performance goals over the past two years and how he has also been a good overall contributor and team player. He explains how much he enjoys his work with the company and how excited he would be to take on the challenge of the product manager position. The conversation ended on a positive note and Michael felt very good about how it went. So good in fact, that he was completely dismayed to hear absolutely nothing back from his boss — for weeks, and then months. He was so frustrated that eventually he ended up leaving the firm. So what went wrong? Michael seemed to be acting quite appropriately. He was confident without being boastful, clear and straightforward about his interests and goals, but also being respectful and polite towards his boss. In fact he was indeed quite appropriate — if he were in the US. In China, however, self-promotion works quite differently, and because of his lack of knowledge about these key cultural differences, Michael was set up to fail. What people sometimes don’t realize is that although overt, direct self-promotion is a singularly American phenomenon, self-promotion itself is universal. 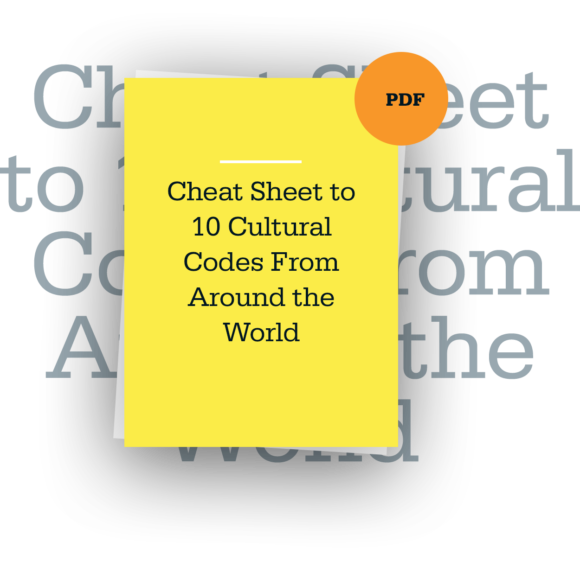 However, the key is to understand how it is done on a local level — which means according to local cultural values and norms. For example, in China, the preferred communication style is much more indirect than in the United States. Think about how directly Michael communicated his message, saying that he has “met or exceeded his performance goals” and how “excited he would be to take on the challenge of the product manager position.” In the United States, where “getting to the point” and being a “straight shooter” is culturally valued, such confidence and initiative is admired. In China, however, it would be seen as too direct — putting his boss in the uncomfortable and face-threatening position of having to deny such an overt request or acquiesce to what feels like an inappropriate demand from a lower-level employee. Finally, in addition to being overly direct, Michael’s actions were also immodest. Chinese would never extol their virtues to a boss in this way. In Chinese business culture, the best way to promote oneself is to simply do good work. The underlying idea in China is that results speak for themselves, and that employees who do good work will ultimately be recognized. Another effective way to promote yourself in China is to have someone else do it. Social networks, or Guanxi, in China are critical to advancing one’s career and promoting oneself in the corporate setting. It’s important to work on developing strong contacts with influential people who can advocate for you behind the scenes. That way, you can benefit from self-promotion without suffering the cost of doing so in a direct and immodest manner. Learn how to self-promote in a manner that is indirect and modest. Instead of setting up a meeting with your boss, learn to self-promote in a more discreet and indirect style. Rather than presumptuously suggesting a promotion, learn how to be a modest and deferential employee — and that, in and of itself, will enhance your reputation and put you in line for positive feedback. These new behaviors may feel inauthentic at first — after all, Americans are schooled on the importance of assertiveness and self-promotion throughout their lives. However, people can and do learn to “switch” their cultural behavior, often with surprisingly effective results. Finally, if all else fails, change companies. Many companies and leaders in China nowadays have a more Western orientation. This is especially true for private companies founded by the younger generation of Chinese professionals with experience working or living in the West. The overall message — no matter which foreign culture you find yourself in — is to “go local.” Do your best to find out how self-promotion is handled in that local culture and adjust your behavior accordingly. By doing so, you are enhancing your ability to move seamlessly across the global economy and increasing the chances of creating positive impressions in any cultural setting. Article originally published in Harvard Business Review.